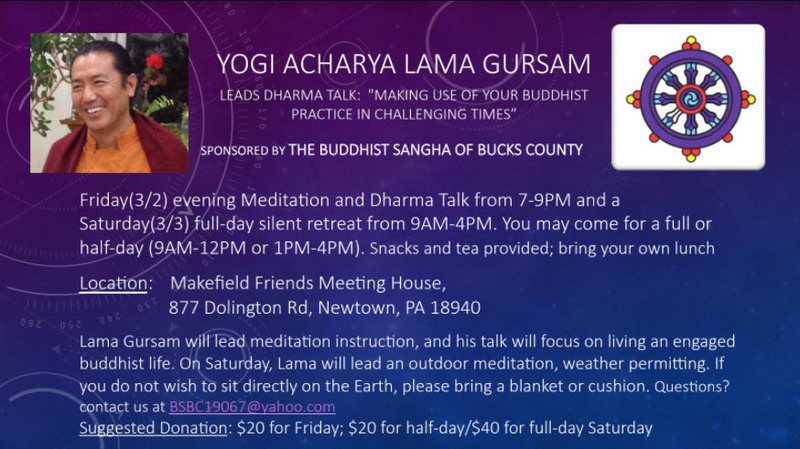 Please join us at Makefield Friends Meeting House on March 2, 7pm-9pm, for an evening meditation and dharma talk and again on March 3, 9am-4pm, as Yogi Acharya Lama Gursam leads us in a silent retreat. During the retreat we will enjoy a quiet lunch (bring your own lunch) with discussion afterwards. 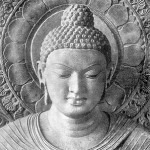 This entry was posted in Home and tagged dharma talk, Lama Gursam, meditation retreats, retreat. Bookmark the permalink.